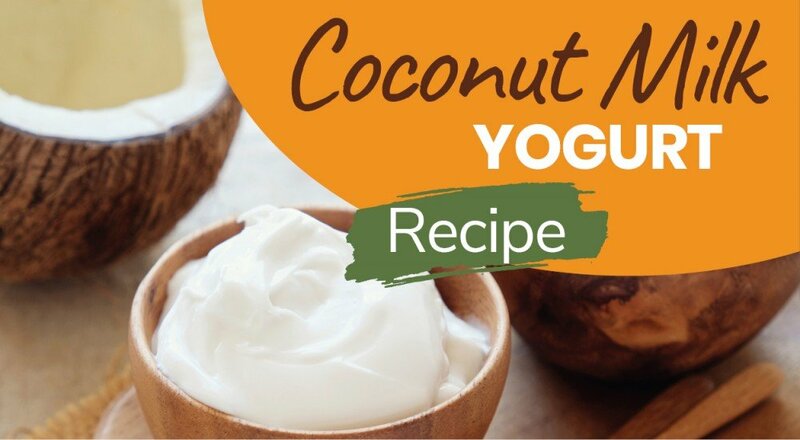 Coconut yogurt is thick, creamy, probiotic-rich, gut-healthy, and oh-so delicious! However, most store-bought yogurts often contain a lot of additives (like gums and carrageenan) and sweeteners and can be very expensive. Making your own coconut yogurt is super easy. Before I introduce the recipe, here’s a few key benefits of coconut milk. Coconut milk comes from the white flesh of mature brown coconuts, the fruit of the coconut tree. The solid flesh is mixed with water to make the milk, which is about 50% water. About half the fat in coconuts comes from a medium-chain fatty acid called lauric acid, a compound that contains strong anti-inflammatory properties. When lauric acid is digested, it also forms a substance called monolaurin, which can kill harmful pathogens like bacteria, viruses, and fungus. For example, monolaurin has been found to help kill the bacteria Staphylococcus aureus (a very dangerous pathogen) and the yeast Candida albicans, a common source of yeast infections in humans. Coconut is also loaded with minerals like magnesium, calcium, phosphorus, and potassium, which most people are deficient in yet is critical for maintaining healthy blood pressure and aids in water balance in the body to counteract too much sodium (bye-bye bloat!). The high folate content is essential for red blood cell function, healthy metabolism, and proper brain development in infants. The folate is a potent antioxidant that is important for preventing the yogurt from spoiling. While not a complete source of protein, coconut is packed with amino acids. You will need a sterile 16-20-ounce sterile jar and a plastic, wooden, or ceramic spoon (do not use a metal spoon). Use full-fat coconut milk with no additives (just coconut and water). The probiotics should be very fresh and have been stored in the refrigerator (and should not contain prebiotics or enzymes). You will also need a small, clean towel or some cheese cloth to cover the jar. Make sure that your hands are clean and that your jar, spoon, and cheesecloth are clean. Handle the spoon by the shaft only. You may want to rinse your clean jar and spoon with boiling water and allow to air dry as any bacteria will interfere with the fermentation process and spoil the yogurt. If your yogurt turns an odd color or has a foul odor, this is likely due to bacteria. Discard this batch and start over. Be sure to use organic coconut milk in a BPA-free (bisphenol A) can or container. Yogurt takes time to ferment, so begin making it a few days before you wish to enjoy it. If your kitchen is very cold, find a warmer place –the ideal temperature is 75 degrees. If your coconut milk has a top layer of cream and liquid on the bottom, either stir it to combine or if you want extra creamy yogurt, scoop off the top layer to make the yogurt and use the watery part in a smoothie (and reduce the probiotics to one or two capsules). To thicken your yogurt even more after it’s made, place two layers of cheesecloth over a fine mesh strainer set over a large mixing bowl and pour in the yogurt. Loosely cover the top and refrigerate, allowing it to chill for several hours. Shake the can of coconut milk; then open it and pour it into a 2-cup glass jar. Twist open the probiotic capsules and empty the powder into the coconut milk. Discard the capsules. Stir the probiotic into the coconut milk, mixing completely using a plastic, ceramic, or wooden spoon. Cover the jar with cheesecloth or a piece of paper towel and secure it with a rubber band. Set the jar aside in a warm spot that is out of direct sunlight for 24-48 hours (fermentation will depend on how warm your home is). After 24 hours, check the yogurt. Give it a taste with a clean plastic or ceramic spoon to see if your yogurt is done (it should have a distinctive tangy yogurt taste). If still too thin, let it sit a few more hours. Note that it will continue to thicken in the refrigerator. When done, remove the cloth, cover loosely and move the jar to your refrigerator. It will take an additional 8-12 hours for the yogurt to chill and thicken. The yogurt can be stored, covered, in the refrigerator for up to 7 days. If it develops mold or an odd smell, throw it out. We believe most people are in need of daily probiotic support. 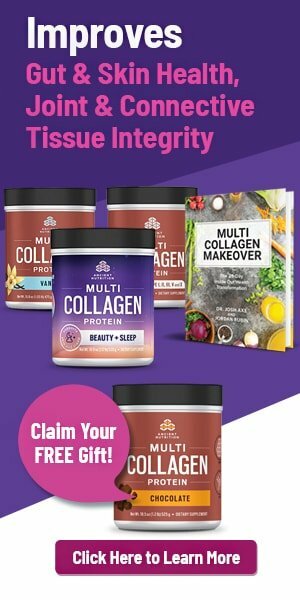 Click the link below to learn more about the supplement combo that we take daily. Discover Ty & Charlene’s Favorite Daily Essentials. There should be alternatives to a capsule. Can I make my own coconut milk? Making your own is easy (you can obtain precise measurements from WellnessMama website). It is basically boiled water poured over dried coconut meat, then whizz in a blender. Sieve the blended liquid through a nut bag. Store the liquid coconut milk in the fridge and use within 3 days. I keep the contents of the nut bag and use in my cereal or for baking. Canned foodstuffs are not healthy, the lining of the cans leaches into the contents so I am surprised to see this in the recipe. why a plastic or ceramic spoon? Thank you both for the great job of education people about cancer, I lost my wondrful husband od 29 years to Mutiple Myloma in 2013 after 13 years of treatment. He died of the treatment not the cancer. At first I was doing natural treatment and he was getting good results from his Dr. BUt once I told them about it they said stop as it would interfere with his treatment. Unfortunately I listened to them as I knew very little about natural therapy at that time. I also lost my mom to multiple myeloma after 13 years of fighting. She did well for8 years then started Chemo and acquired breast cancer too. I believe the treatment decreased her own immunity so she had nothing left to fight. 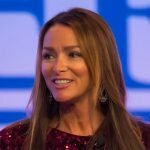 I Began researching and found this site and natural treatments but she was too afraid at that point and listened to the doctors…. Hello I’d like to throw ya’ll something i found while seeking and searching something you might find resanstes with you. Most 1st reactions iwhen sharing this is negative. But i keep sharing anyway. My inner/higher intuitive self. Tells me our bodies are self healing and we dont need doctors or fda approved drugs. That The One Source Creator of all that is created perfectly, and provided all we would need to be readily available naturally. And so drumroll……………..urine therapy i read resesrch papers from more then just one country. I love resesrching for myself so i may make my iwn conclusion on what to believe abd i live sharing what i find so others may also. Always love and light and good intentions. I have on organic coconut oil at home, ( i use it externally, and mouth rinse) and it has 60 % of Trans fat per 1tbsp 😱 i think that’s a lot of fat, can you explain how is that health? Thanks, I love your work! If you have any further questions/concerns, please let us know as we are happy to help. Hi, just wanted to let you know that Pinterest is blocking your content. This recipe cannot be saved, it brings up a box that informs you that they are “sorry, this content is blocked & cannot be saved” !! You may want to follow up with them to find out why? Hi, First of all, thank you and your wonderful team for all the hard work you’ve done. I tell everyone I can about your different series. I recently lost my husband and best friend of 54 yrs. to cancer also. I’ve been studying nutrition and healthy lifestyle for over 40 yrs. make all our food so figured I could help heal him through our prayers, and with all my protocols, but as others said, he was subjected to sugerical/doctor errors. I know it was God’s timing, but it’s still difficult. About the yogurt: This is good for those who don’t use dairy or with milk allergies, but when you mentioned cost, this for me wouldn’t be inexpensive, considering the cost of the canned organic coconut milk and the small yield. I do keep a few cans on hand for when I haven’t time to make my own. However, I pay my local farmer $3.25 for a 1/2 gal. of raw milk, which yields 5 pts. of delicious, thick, healthy, raw yogurt. I usually buy 3 young coconuts a wk. and have been wondering about the possibility of making yogurt with the fresh coconut milk, but it would still cost over $9.00. About the allergies – when I was a child I don’t recall anyone with any allergies, but back then we all mostly drank raw milk, ate fresh foods, and had healthy immune systems due to no vaccines or contaminated foods. Hi Ann, I never knew anyone with peanut allergies, either. Then I learned they started using peanuts in vaccines. Since then some peanut allergies are life-threatening. So sad. I am so old that I think I only got one vaccine as a baby and a schick test in elementary school. I got the first Salk Polio shot, before the liquid. Then when I moved to Alabama for a job, I took flu shots for 13 years and a DtaP, which I thought was only tetanus. Now I deal with what I think is a heavy metal build-up. I am grateful to Charlene and Ty for all they are doing for us and have purchased most of their Seminars. Any recommendations which probiotic capsules to buy? Unfortunately, we don’t have a specific brand recommendation for supplements at this time. But I would be happy to pass along this question/request on your behalf.